Get out and scout. It’s common advice — so common, I’m afraid, that some hunters ignore those words of wisdom. However, state officials are saying this season might present hunters with challenges, and scouting could make a difference. Deer numbers are down across the state, and acorns are highly abundant in the Lower Peninsula. That could result in a one-two punch for hunters who haven’t done their homework once the firearm deer season opens November 15. “I am telling people to hunt smart and be ready to move,” said Brian Mastenbrook, the Michigan Department of Natural Resources’ wildlife field operations manager in Gaylord. “People are always comfortable hunting their traditional spots, but they may not see as many deer this year. They have to be adaptable. In the northern Lower Peninsula, Mastenbrook’s region, hunters can expect to find fewer deer than last year. Most made it through winter of 2013-14, but the cold weather took a toll. Just where hunters will find those deer also has changed. Some areas have good numbers. Upper Peninsula deer are likely to be spread out. The mast crop is spotty this year. Photo: Dave Kenyon, Michigan DNR. Other areas no longer do, Mastenbrook said. Upper Peninsula deer populations also took it on the chin last winter, the second of two consecutive severe winters. Hunters are being advised to expect fewer deer across the U.P. “It’s going to be a tough year,” said Terry Mizey, the DNR’s Upper Peninsula wildlife supervisor in Marquette. “There were substantially fewer fawns and yearlings, and we saw adult doe mortality last year. “What I am confident about is this: The number of deer is down; the buck harvest will be down; and it will be down a fair amount. U.P. deer are not likely to be as concentrated on oak ridges, Minzey said. This year’s mast crop (acorns) is spotty, and deer likely are to be spread out, feeding on other available foods. 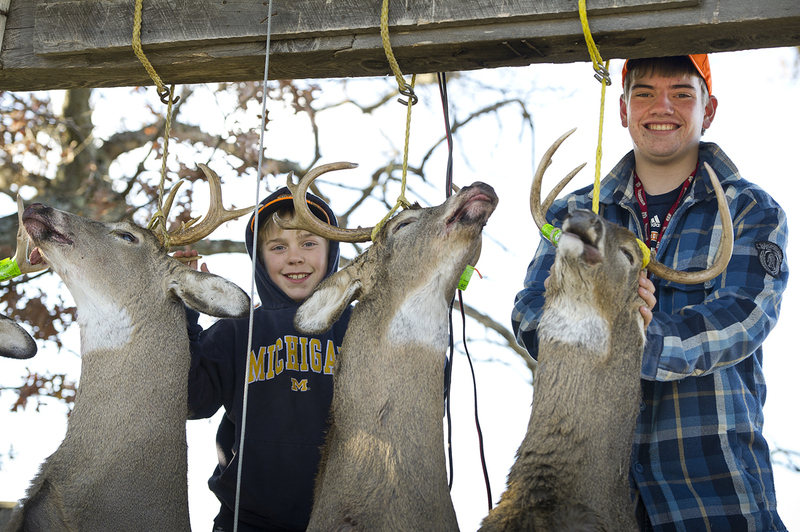 Southern Michigan hunters also can expect fewer deer, the result of combined effects, but winter isn’t one of them. Most made it through winter just fine, according to DNR wildlife officials. “The one big thing everyone is talking about is acorns,” said John Niewoonder, the DNR’s field operations manager for 11 counties in the northwest part of southwest Michigan. “We have a tremendous acorn crop, and so hunters are not seeing as many deer as they used to. “The deer are there, in the woods, but they’re not coming to bait piles because they have plenty to eat, and it’s their favorite food. EHD is a disease transmitted by biting midges. The disease killed deer in 30 counties; nearly 15,000 deaths were reported in 2012, according to DNR records. EHD didn’t appear in 2014, but seven cases were confirmed in six counties in 2013. Outbreaks occurred in seven of the past nine years. “We’ve had no (EHD) impacts around here the last two summers, but a couple of areas in northeast Kent County and northeast Ionia county got it pretty bad (in 2012),” Niewoonder said. “Guys who hunt there used to have tons of deer, and then they didn’t see any. We’re recovering from that, but slowly. 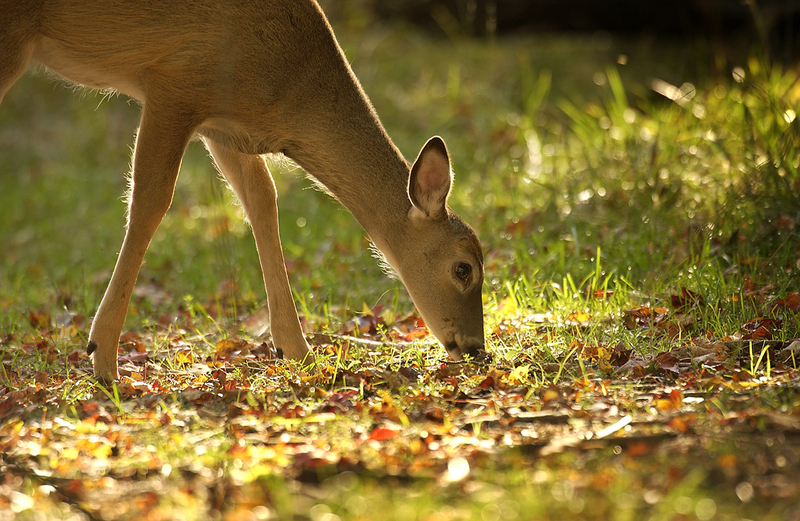 With Michigan’s firearm deer season just a week away, hunters would be wise to scope out areas that they plan to hunt. A little extra early effort could go a long way once the big day comes. This entry was posted in Uncategorized and tagged Conservation, Deer, Deer Hunting, DNR, Hunting, Michigan Department of Natural Resources, Wildlife. Bookmark the permalink.